To keep up with this week’s apparent fitness theme (hey, New Year’s resolutioners!) I have word that a cycling studio is coming to 9th and U. 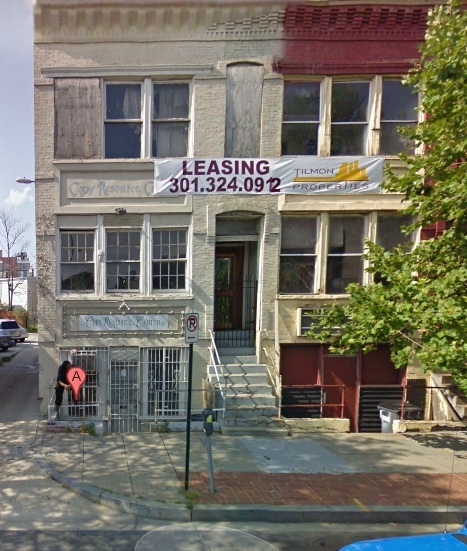 Off Road Indoor Cycling will be on the second and third floors of 905-907 U Street.. They plan to open this spring. Again, nice to see more work out options in the hood. When I think DC9, I don’t really think food. But they are upping their game, hiring former Palena and Hook chef Amber Bursik to helm their kitchen. Bursik will be making Southern-inspired bar food that is simple and honest. She is redoing their menu, introducing some tasty sounding items like 24-hour marinated fried chicken and the Herbert Burger, which is topped with fried green tomato, bacon, and Tabasco aioli. I applaud the mission of doing classic bar food well – I look forward to trying their new items. Very interesting post in the City Paper from Rend Smith about the OTHER guy, the same night Ali Ahmed Mohammed broke a window of DC9’s and died, who did the same thing – but survived. 21-year-old Georgio Tuccio, according to his lawyer, punched through a window after DC9 employees beat him up. They stay they have witnesses to back up this claim. Can’t tell if this is a case of leveraging someone else’s pain to clear oneself of a crime, or if two of these incidents really happened in one night. In related news, the Medical Examiner has determined Mohammed’s cause of death and will be releasing the information either today or Monday. Stay tuned, or follow me on Twitter for up to the minute news. And, fun times, DC9 should be officially reopening tonight. DC9 is allowed to reopen this Wednesday and has confirmed on their website that they will be open. While there are no live bands scheduled as of yet, their website lists a number of DJ nights and dance parties for the next couple weeks. It will be interesting to see the neighborhood’s response to the reopening; I wouldn’t be surprised if there is a protest from the Ethiopian community. If you stop by on Wednesday, let me know how it goes. I imagine it will be pretty somber and not very raucous. Following yesterday’s ABRA meeting, DC9 will be allowed to reopen its doors on December 15th, with a few conditions. They cannot employ any of the employees involved in the incident that lead to Ali Ahmed Mohammed’s death, not at DC9 nor any of Joe Englert’s businesses. They have submitted a security plan that includes 18 security cameras that ABRA found satisfactory. Another nugget to come out of this meeting is that the medical examiner expects to release an autopsy no later than January 19th. Pending the results of the autopsy report, DC9 may be ordered to close again. This decision is rather controversial, be sure to expect a lot of protesting outside of DC9 when it reopens, from the greater U Street’s large Ethiopian community. Around 11:40 last night MPD officers heard gun shots in the 9th and Westminster area (Westminster is between T and S between 10th and 9th Streets). They found a man suffering from gun shot wounds and transported him to the hospital. The victim was later pronounced dead. There has been a disturbing amount of violence in the U street area in the past month or so. I don’t know why this up tick in violence is happening but it really concerns me. UPDATE: Police have identified the victim as 24-year-old Ronald Johnson of Northeast DC. Well, this isn’t surprising but is still sad to hear. DC’s Alcoholic Beverage Control Board has agreed to suspend DC9’s license to serve alcohol until the outcome of a yet to be scheduled hearing. This is of course following the death of Ali Ahmed Mohammed outside of DC9 early Friday morning and the subsequent arrest of 5 DC9 employees in connection with the death.